HomeDo Air Purifiers Take Out Formaldehyde? Do Air Purifiers Take Out Formaldehyde? What do you do when chemicals are inundating your home and contaminating your air quality? Your indoor environment is introduced to numerous chemicals likely every day, as common household items usually contain a mix of different chemicals. In each room you deal with the release of chemicals into the space including auto supplies in your garage, laundry detergent in your laundry room, cleaning agents in your kitchen, and even the new paint that you plastered onto every wall inside your home – these are all composed of chemicals that will release into your home’s air and effect the air quality inside the space. Although there are many chemicals that may be inside your home, one that is fairly popular and commonly found inside home’s is a chemical named Formaldehyde. Formaldehyde is a classified VOC (Volatile Organic Compound) that is both colorless with a strong-smell that is quite noticeable in indoor conditions. This chemical is commonly found in many products including furniture, flooring, pressed-wood, and glue adhesives. Have you often wondered why new items in your house produce an odor right after it enters into your environment? Well, this odor is similar to that of a new car, everyone knows that new car smell, the ‘smell’ is what we associate with being new, but in reality, that ‘new smell’ is not that but rather of chemicals in the off-gassing process. Formaldehyde will go through this process as well, when the chemical reaches room temperature it will turn into a gas and begin to release off the chemicals from the surface of the chemical such as a couch, table, or flooring. When the chemicals are being released into the air as a gas it is called off-gassing, and this can be very harmful to humans upon exposure. When humans are exposed to this chemical there can be a range of health effects that they may experience from short term effects like respiratory irritation, coughing, headaches, and dizziness/nausea. Whereas the effects of long-term exposure can be frighteningly more severe such as the development of cancer. How can you eliminate formaldehyde exposure inside your home and remove the chemical from your air? 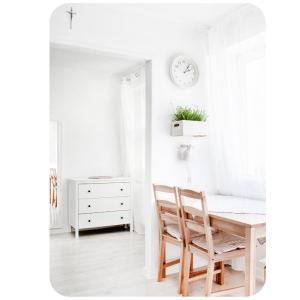 There are many air purifiers on the market that claim to eliminate formaldehyde and other VOCs from the air and are called formaldehyde air purifier, but these claims can be vastly over embellished. The common technologies used in most air purifiers includes carbon, ozone, ionizers, and PECO – each of which have their own faults and failures in removing VOCs from the air. 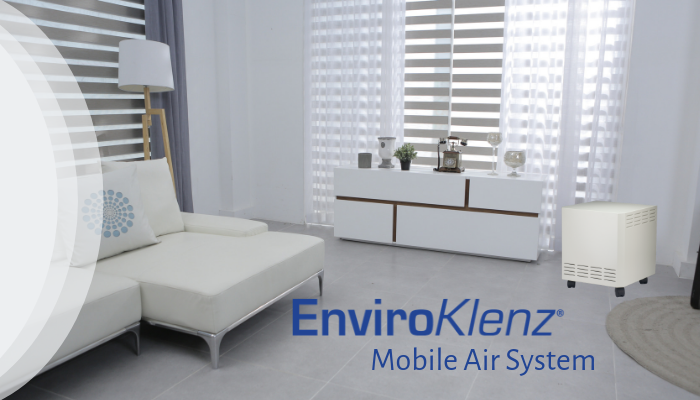 The EnviroKlenz Mobile Air System, on the other hand, uses a patented earth mineral technology that is capable of breaking down and neutralizing the chemical, chemical odor, or VOC from the air completely without the use of toxic chemicals.